Description: The A-10 Thunderbolt Screen Saver contains more than 90 16:9 Hi-Definition pictures that will stretch to match the screen resolution on your wide screen monitor. Over a dozen visual effects can appear between images. Plus, each of the photos can be displayed as your desktop wallpaper. Customize the program to your liking with several appearance and behavior options, all accessed from a clean, tabbed window. 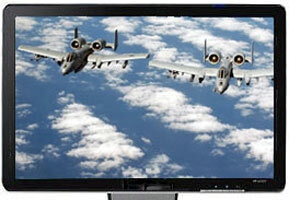 Description: Protect your monitor with photos of the A-10 Thunderbolt. See more than 140 images of the of the A-10 Thunderbolt in our Gold Edition and 60 Images in our SE Edition. The package is powered by an excellent screen-saver engine with lots of options: Select the time between pictures, show the photos full-screen or at original size and choose special transition effects. Plus, each of the photos can be displayed as your desktop wallpaper. Description: A free Aston Martin DB4 screensaver. Description: A free Aston Martin DB7 screensaver. Description: A free Aston Martin V8 Vantage screensaver. Description: A free Audi A3 screensaver. Description: A free Audi A6 screensaver. Description: A free Audi Q7 screensaver. Description: A free Audi R8 screensaver.